Are your earlobes saggy, deflated, or even torn? At Elsa Raskin, MD, we offer a variety of earlobe treatments, including non-invasive dermal fillers for earlobes and earlobe repair surgery. Earlobe repair surgery, also known as lobuloplasty, is a reconstructive plastic surgery procedure that is designed to restore the appearance of earlobes. Whether your earlobes have sagged or torn, earlobe rejuvenation is the perfect solution to restore their shape and aesthetic appearance. Elsa Raskin, M.D. in Greenwich, CT is a skilled facial plastic surgeon, offering earlobe repair to help you feel content with your earlobes. 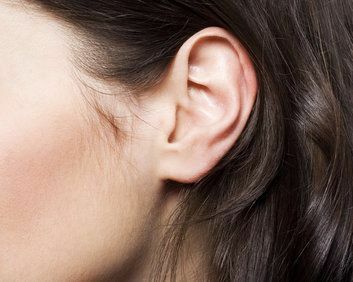 The earlobe itself is the fleshy lower part of the ear that is often pieced once or multiple times. The skin of the earlobe is extremely delicate, and the area is made up purely of fat and skin, meaning that it is malleable, soft and prone to sagging and splitting if reasonable or prolonged pressure is applied. When does an earlobe repair become necessary? An earlobe repair may be necessary or desired for a variety of reasons. Some patients who choose to wear heavy earrings for long periods of time, find that the weight of their jewelry gradually stretches the piecing hole through the lobe until it splits into two. Accidents and injuries involving earrings being ripped through the ear are also common, and result in the need for earlobe repair surgery. Plug earrings have become a popular fashion accessory in recent years. This style of earring stretches the piercing hole much wider than normal. While it appears quite normal while the earring is in place, when it is removed there is nothing to support the elongated and stretched skin that then sags and looks unappealing. Piecing holes that have been stretched using this method rarely heal, and so patients who have opted for this type of body expression often find their ears permanently altered. Am I a suitable candidate for an earlobe repair? An earlobe repair is a short, straightforward procedure making it suitable for almost every patient. However, before you are given approval for your surgery, you will need to attend a consultation appointment with Dr. Raskin where she will assess your ears to ensure you are a good candidate for earlobe repair with either surgery or fillers. For patients that are self-conscious of saggy or wrinkled earlobes, earlobe repairs with fillers are the easiest solution. Depending on your unique needs we might recommend, Juvederm, Restylane, Belotero, Radiesse, or Sculptra to give you firmer, younger looking earlobes. Dermal fillers are injected into the earlobe with a small needle to add volume to the earlobe, firm creases and wrinkles, and reduce damage from large piercings. Filler injections are fairly painless treatments with minimal recovery time with the exception of some redness and swelling for 2-5 days after the injection. Your earlobe rejuvenation treatment with fillers will last for up to a year, and in most cases, you can resume wearing earrings a few days after your treatment. Dermal filler treatments tend to last longer in your earlobes, since there is not any muscle movement in the cartilage of your earlobes, unlike other parts of the face. What does earlobe repair surgery involve? Earlobe repair surgery is usually always performed as an outpatient, meaning that you will be able to walk in to have the procedure and walk out again once it is complete. The surgery itself is performed under a local anesthetic and takes around an hour. Before your operation, Dr. Raskin will have worked with you to plan and design how to repair your ear so that it looks natural and aesthetically pleasing. If you have earlobes that are split or torn, they will be brought back together and secured using sutures. Earlobes that are elongated or stretched can be normalized by cutting away a small amount of skin and securing the lobe back together. How long will it take for my earlobes to heal? The recovery process for earlobe repair is relatively short. You will be able to return home immediately after the procedure, with small bandages covering the lobes of your ears. The dressing can be removed after a couple of hours, and Dr. Raskin will give you specific aftercare advice to follow, which will include cleaning the wound with saline twice a day. You should follow these instructions in their entirety to minimize any side effects and get the best possible outcome from your surgery. Approximately two weeks after your earlobe repair you will return to Dr. Raskin to have your sutures removed. However, it may take up to six months for your earlobes to fully heal. Will I be able to have my ears re-pierced again after the surgery? An earlobe repair is designed to restore strength as well as appearance, and so once your ears are 100% healed it will be possible for you to have your ears pierced again. If your earlobes have been stretched or damaged and you would like them to return to their natural shape, repair surgery may be the solution you are looking for. To find out more about the procedure, or to arrange an appointment to assess your candidacy, make an appointment with Dr. Raskin today by calling 203-889-9100.